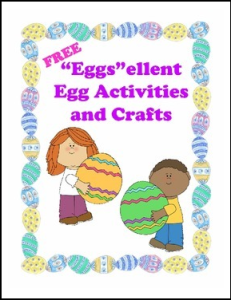 A collection of educational egg activities and crafts that are the perfect addition to your Easter or Spring themes. Can You Put Humpty Together Again? TpT gives credits for every $ you spend ONLY after you provide feedback. You may use your credit points for future purchase of any TPT products! If you decide to purchase, please don’t forget to leave feedback, a fair rating and a fair comment ClickHERE for more information about TPT credits. Graphics by www.mycutegraphics.com and Dimension Global Designs. ← English Language Arts – Everything is on Sale!